Godrej Tranquil is an upcoming landmark by Godrej Properties at Kandivali East. Spread in a friendly area of Kandivali in Mumbai, it has been created to match correctly the average city resident’s search for both quiet and relaxation place. Above all Tranquil project by Godrej at Kandivali East sets a benchmark and assures to be a league apart from all the other projects in the locality. Actually, the project aims at producing architecturally healthy residences. The elegantly planned apartments will show the hard efforts of the inventors. Thus various facilities will come decorated with the apartments. The project is also planned accurately and guarantee a peaceful atmosphere for the residents and for their close ones. It allows the homeowners a life away from te troubles and in a pollution free atmosphere. Special recognition has been provided to assure secrecy for the families. Of course what I think is this project will be the best one to set in the Kandivali location. There aren’t many developments in this location, therefore arguably this one will be a unique one. First of all, this project is right bang on the Western Express Highway, therefore it gets easier to reach anywhere. You don’t have to worry about the views. You get Sanjay Gandhi National Park’s views, yes that’s right! I’d love to have those kinds of beautiful views. These days all you get to see is buildings. It isn’t 1980 anywhere where you could see open land at some places. The project will have luxurious 1 & 2 BHK apartments. The areas will range from 450 Sq Ft to 700 Sq Ft. As far as we know, the apartments will be very spacious. You wouldn’t get a single reason to find a con, I promise. Believe me, you will love the project right when you see the location. Godrej Properties have their own amazing way of developing the project. That is why they’re the best in class developers. The project hasn’t been launched yet, it is upcoming, we’ll update the details as soon as it gets launched, still get in touch with us so we can plan on the buying once it is launched. The project will be developed in the five acres of land. Godrej Properties has gotten into an agreement with Shivam Realty to get into the development, therefore, it will be a very beautiful project. Other projects of Godrej Properties includes Godrej Origins, Godrej The Trees, Planet Godrej at Mahalaxmi, Godrej Emerald, Godrej Prime and Central at Chembur. Godrej Tranquil Kandivali project just doesn’t allow a flat formed of bricks and mortar rather your own area where life will grow absolutely royal. 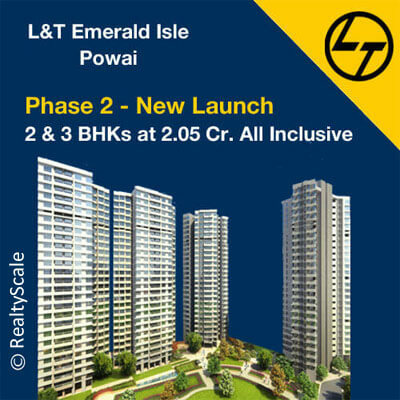 Welcome the positive power around you every day because you will be living in Kandivali East. Godrej Tranquil pricing grows up to allow smart boutique fashion luxury homes. The simple but classy patterns allow your beautiful apartments with a spirited view of Kandivali East. High-quality elements will be used by Godrej Properties in the development of this project thus to assure your protection and safety. Finally, a number of characteristics and fluency will be decorated at this luxurious project. Improving lifestyle, Godrej Tranquil is created to make your life comfortable and hassle-free. The coverings of this project absolutely combine with the insides, as a result, to allow you apartments that let you experience peaceful living. Ultimately experience the happiness of living at your ideal home, at Godrej Tranquil at Kandivali. Godrej Properties was founded in 1990 as a real estate construction group within the different Godrej Group of industries. The commitment to address meaning encourages the Godrej Properties at all stages of the plan. Firstly, the group assesses the intrinsic of possible neighborhoods and is accompanied by a team of able managers. in April 2017 Godrej Properties launched Godrej Origins which is phase 3 at Godrej The Trees, this will have 285 Units. Once a location has been recognized as an inherent construction zone, Godrej Properties LTD work with the leading creators, architects, and superintendents to bring the plan to people’s life. The group has completed end number of projects in Mumbai and Pune and Bangalore, their famous in Mumbai is Planet Godrej which is at Mahalaxmi, and their on-going best projects are Godrej The Trees which is at Vikhroli, Godrej Prime, and Godrej Central and both projects are located nearby at Chembur.